In both the fever book and the Louis Fuertes bio, both have a firm setting at Cornell University and not too far apart in years either. So interesting. 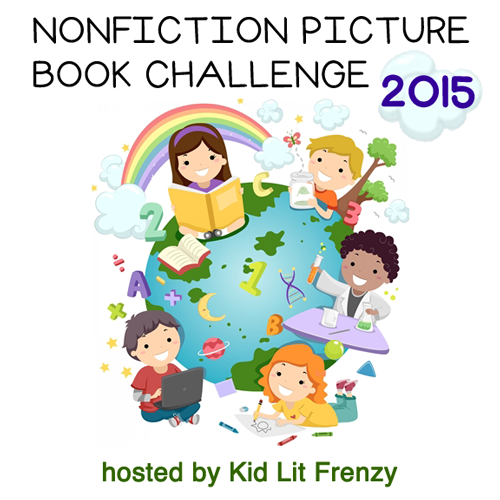 Within these books: birds and engineers, creative scientists and actions of birds. It all started, at least this story, in Ithaca, New York, where eventually one in ten citizens and Cornell University students were struck by typhoid fever. Many died, and if it wasn’t for George Soper, a sanitary engineer who managed the recovery of Galveston, Texas after that terrible hurricane that destroyed that city, it might not have slowed as much as it did, eventually. 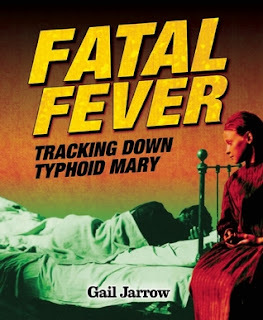 I learned so much in this story of the search and eventual discovery of Typhoid Mary, real name Mary Mallon. In the early 1900’s, people in our country were badly in need of sanitation education. The sewage was draining into the waterways, outhouses were built at the edges of those same waterways, no one cleaned up the garbage. I imagine all of us have read of these times before. The awful statistics: a third of slum children never lived to age five. Each week in the summer, 1,500 of the city’s babies died, many from dysentery caused by drinking contaminated milk and water. Another name who fought for change was a young woman doctor, hired as a health inspector by the city of New York, Josephine Baker. Gail Jarrow weaves the story of Typhoid Mary in and out of the fight for cleaner living conditions mostly in the east, but all the rest of the U.S. followed that lead. Health Department began making changes, acquired some strength to require people to clean up. There are pictures of the key people/scientists, pictures of posters and quarantine signs, and newspaper headlines. I enjoyed the book very much, learned why Typhoid Mary was first a mystery. She was discovered to be a healthy carrier, something not known to be possible before. She never believed that she was a carrier. Her story and the long story of typhoid fever is explained. Did you know that there are still outbreaks today, here in the U.S. too? And those outbreaks come from the same conditions found in the U.S. so long ago, only this time they are in third world countries, with carriers not washing hands before preparing food, thus contaminating the food. “As many as 2.5 billion people worldwide live without basic sanitation, with a billion of them routinely defecating on open ground. Nearly 800 million have not access to clean water.” Thus they wash their hands less often, or in unclean water. The book is not only history of a time gone by, but one that everyone should know today. There is a timeline, extensive bibliography, several pages showing famous people who were struck by typhoid, some who died, and a glossary. 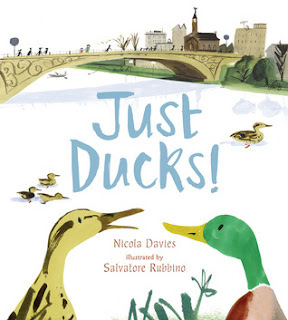 This is such a lovely book about a young girl who wakes up to “Quack-Quuuack” outside her bedroom window, watching them on the way to school, across a bridge, and back again. As Davies tells the story, small pieces of information about ducks are also shared on each page. The illustrations of soft watercolor are brief scenes of the text. The ducks in the book are mallards, but Nicola Davies explains in an afterword that there are many other ducks in the world to learn about, too. She also has included an index. It’s a beginning way to learn about ducks. Basic information shares that this book is for children 3-7, but I disagree. 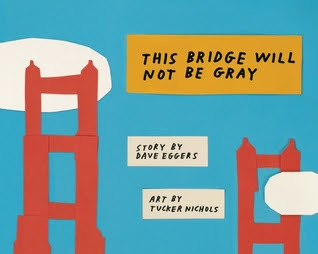 It seems to be an artistic little story that gives some of the information about those few who finally collaborated and created the design for the Golden Gate Bridge, and then a little know and shy person who thought it should remain the orange color that really was that used to protect the metal as an undercoat. 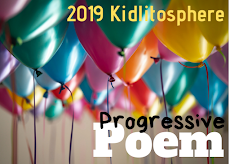 With few words, and cut out shapes telling the story, it was interesting, and to me, it’s for older children or adults who will be inspired to discover more. The art, too, would be terrific to be a mentor for creating one’s own story. It is simple and effective. 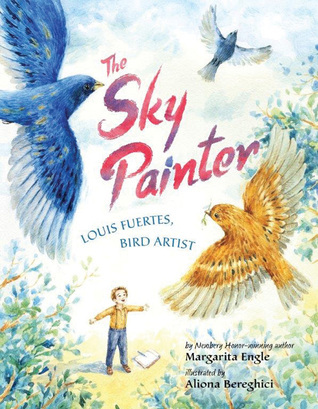 Louis Fuertes loved animals when he was young, especially birds. He often brought them home to take care of them in his “makeshift” hospital under his porch. He began sketching them, and was amazed when he first saw Audubon’s folio of paintings. He drew birds wherever he traveled, in college, and was soon acclaimed as an accomplished bird artist. Early in his career, he stopped the usual way of painting birds, to kill and pose them. He wanted birds to live. He knew that he had to learn to paint fast because birds moved quickly, and his birds showed life even in his paintings. Margarita Engle’s story moves through through Fuertes’ life in gorgeous settings created by Aliona Bereghid. It is a gorgeous look at this famous artist’s life, from early boyhood to old age. He traveled everywhere, from Puerto Rico, his father’s birthplace, to South America, north to Alaska, and Africa. 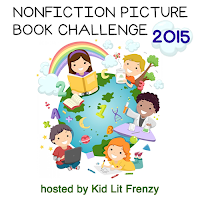 I'll return to Sibert lists next week after I read a few more. Bridge and Tricky Vic would make great books in a Architecture or Buildings unit, I think. It would be good for background history for sure, Earl. Thanks for connecting them. It is great when the connections are strong. I have "The Iridescence of Birds" too, & have shared that with a colleague whose class was studying birds. Thanks Jane. I haven't read any of these, Linda! 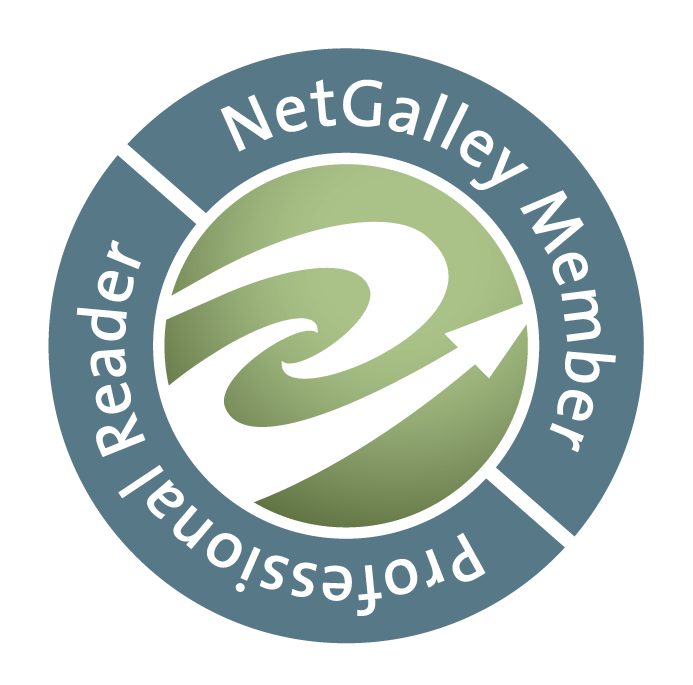 I've heard of Typhoid Mary, and I'd like to get to it but haven't.... Story of my reading life :) Thanks for the reviews! They're all good in unique ways, Michele, but the one that might be most useful to you is Just Ducks, a fun book but has great basic info. Thanks for coming by.